Want to add more fun to this summer? 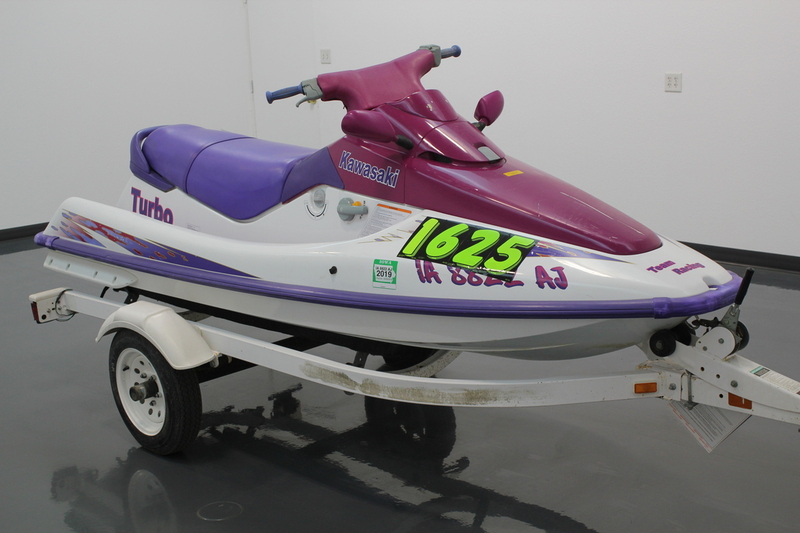 Stop in and see this 1995 Kawasaki 750cc Turbo JetSki, There is front and middle storage compartments, a mooring cover, and rear mounted engine. This PWC is being sold with a 1999 Shorelander single PWC trailer, stock # C15660A4.